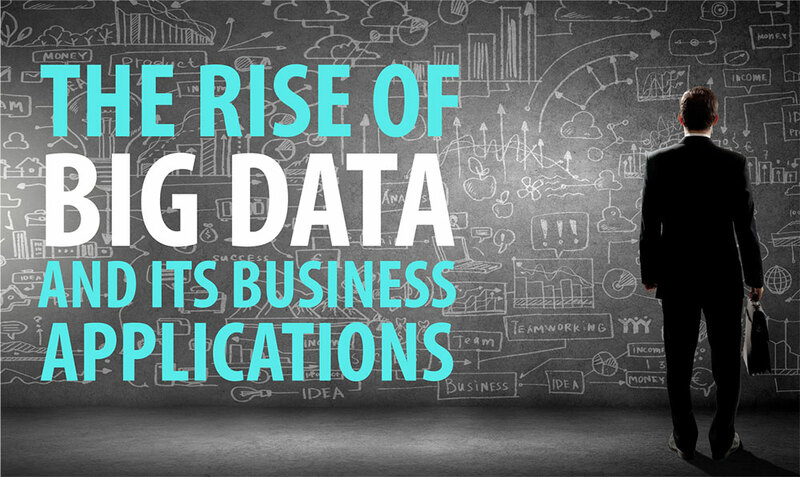 The Rise of Big Data and its Business Applications | Horizon Technology Partners, Inc.
Due to the rapid emergence of digital devices and services, more and more data is being collected, stored and analyzed than ever before. Everything we do leaves a trail. Texts, location data, web searches, etc. Information is being extracted from nearly everywhere; parking spaces, toll booths, your phone, tablets, photos, etc. Big data has existed for years, but only recently have we started to actually analyze the raw data in order to uncover insights into business, universities, health, government, fetal development, cosmetology, and more. There are many things we understand better now than we did a decade ago thanks to big data. While big data has started to make its way into the everyday lives of individuals, the biggest use of big data is in business applications. Those who have the resources to allow them to make use of big data are often given a big advantage in the corporate world. They are able to go to market faster with products and services that they know the consumer is interested in. 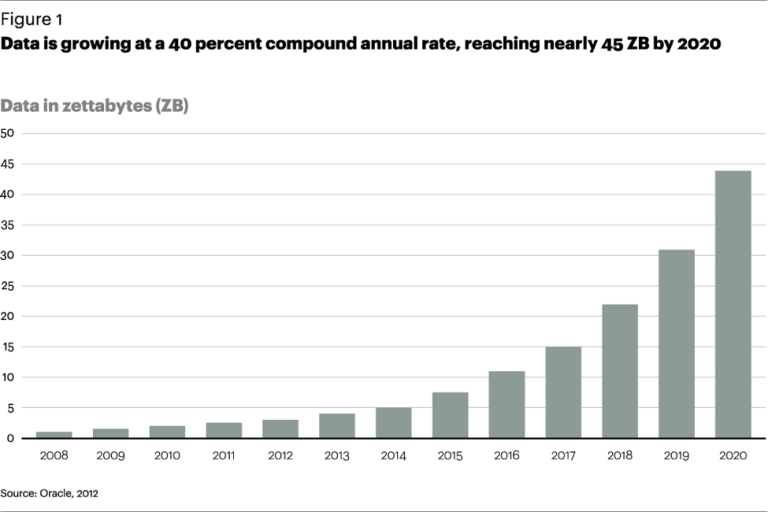 Although big data is a must have for many new products coming to market, the increased investment into big data has not led to an increase in organizations deploying big data projects. Rather, much of the work revolves around strategy development and the creation of new and experimental projects. “Big data can help address a wide range of business problems across many industries and for the third year in our study, both enhancing the customer experience and improving process efficiency are the top areas to address,” said Lisa Kart, research director at Gartner. On its own big data is simply a pile information that isn’t knowledge until someone actually looks at it and starts noticing things about that data. It’s less about the information itself, but how that information is applied. In the end, big data is useless without analysis and application. Big data is increasing the need for qualified statisticians to analyze data from a variety of sources and determine the best way to apply the knowledge. One of the most publicized areas of big data to day is how it can help better understand customers and their behaviors and preferences. Big data is able to take unstructured data from social media, blogs, videos, and other sources, sort through the information and analyze it to better understand how to treat each individual customer like a celebrity. Information from big data combined with predictive analytics can help companies in real time as they are working with customers. For example: In call centers, information from multiple sources can be reviewed and analyzed in real time so that representatives can be informed of offers or services to offer to their customer. Additionally, retailers are able to optimize their stock based on predictions generated from social media data, web search trends and weather forecasts. For marketing managers, spreadsheets are now a thing of the past. Manually collecting data and turning it into rough but valuable insights is now not only obsolete, but nearly impossible with the sheer volume of data. Whether the data is coming from social media, web searches, clicks, purchases, return customers, or another of the various sources, there is simply too much data to enter in manually. The sheer volume and variety of data has made it far too complex to properly analyze data with old school analysis tools. Companies can now employ third party resources that will have the tools and expertise necessary to expand on their business without venturing beyond their core competencies. There are still many challenges Big Data will have to face. For example; who owns our personal data, where are we going to store it all, the reliability of some of the big data sources, and the sophistication of some of the analytics for less common problems. However, we’re merely at the beginning of the big data movement and even with the problems it’s currently facing, big data is here to stay. In the coming years more and more businesses will start using big data to positively impact their businesses. Are you prepared?